Congratulations! You’ve got a brand new audiobook! It’s time to get the word out about it! I minored in marketing while in college and have always loved to think about marketing ideas. Sandra Beckwith at BuildBookBuzz.com recently asked me a number of questions related to audiobook marketing. Our interview was posted today, and you can read it here. A while back, I wrote 2 articles on the ACX.com blog to address this very topic. In Part One, I explained some reasons why people are resistant to listening to audiobooks. I then offered 3 ways to make your audiobooks more discoverable to an audience, including an invaluable site to use when developing a promotions calendar. 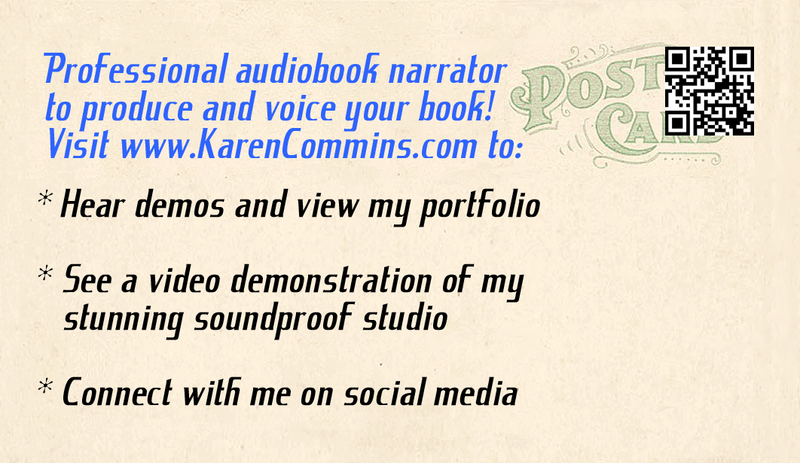 Part Two contains 4 more ways to promote your audiobooks and includes some very specific tactics about several social media sites, such as instructions about adding the audio edition of your title to Goodreads and subscribing to my Twitter list of audiobook reviewers and bloggers. While I encourage you to mine those articles and their comments for their wealth of actionable steps, I’m excited to share these 6 low-cost avenues of audiobook promotion. The number one thing that any author can do to sell your audiobook is to consistently alert your fans that you have an audiobook available! 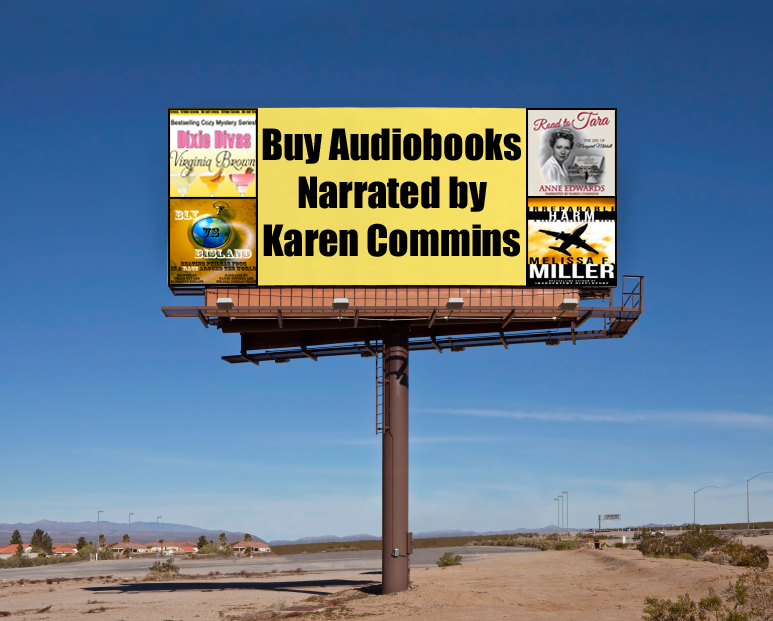 Any time you promote your book, make it a habit to say that the audiobook is also available. I have been astonished and dismayed by the number of audio rights holders who use ACX to create their audiobooks but then do little or nothing to promote the finished product. The audiobook won’t sell itself! Some narrators like me heavily promote our titles. However, narrators generally can’t spend much energy marketing any one book as we are constantly recording the next one. The author is the person who wrote the words in the book and has the fan base who most wants to know about — and is most likely to buy — an audiobook edition. Write progress reports on your blog during audiobook production. Add a blurb about or even a link to your audiobook in the front matter of your other editions. Notify your email list about all new audiobook releases. 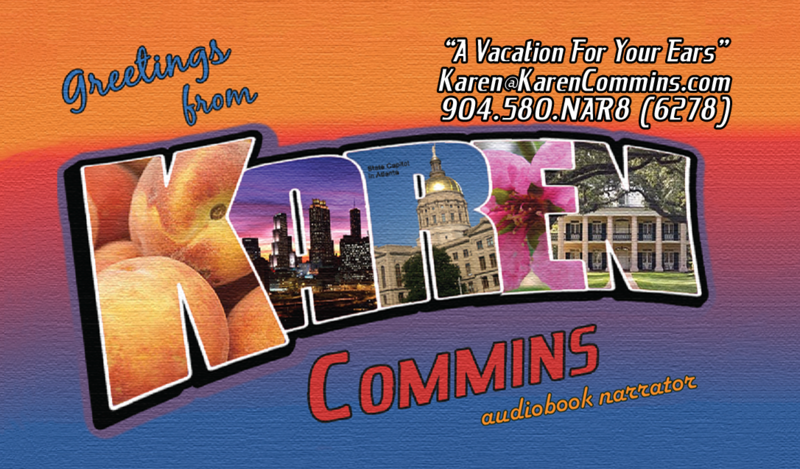 Conduct an audiobook event on Facebook to celebrate release day or some other occasion in your promotions calendar. Host a Google Hangout On Air or a Zoom chat with your narrator and invite your fans to participate in the live stream. Fans love to have a look behind the scenes! Once the event is over, the recorded video of the Hangout is posted on YouTube. You and your narrator could then share that video on your blogs and social media sites for even more coverage. The popular AudiobookBoom.com site is the brainchild of fellow audiobook narrator Jeffrey Kafer. Audiobook Boom is kind of like BookBub in that it is a paid service where authors and publishers highlight certain titles. However, Audiobook Boom is only for audiobook promotion, and the weekly email newsletters are sent to subscribers who are audiobook listeners. You pay $10 per title for a Listen & Review ad. If you used ACX to create your audiobook, you will automatically receive 25 Audible promo codes so you can give copies of your audiobook to eager listeners. With a Listen & Review ad, you’ll quickly receive a number of requests for your book from people who are willing to review it. If you publish an edition of your book in Amazon’s Kindle format, your audiobook is eligible for the Whispersync feature. This amazing technology allows people to switch seamlessly between the Kindle ebook and the Audible audiobook. I created a 3-minute video that demonstrates Whispersync in action. Whispersync also increases sales of both editions. Amazon offers a discount on the audiobook if the buyer first purchases the Kindle edition. In fact, some people will buy the Kindle book simply to get the audiobook at a discount. If you promote your free ebook on services like BookBub, you can expect to see an immediate ripple effect of sales of your audiobook edition. For instance, a recent Kindle Free ad on BookBub resulted in over 300 audiobook units sold the same day! The royalties from the audiobook sales might easily exceed the cost of the BookBub listing! You’ve probably seen the square black and white boxes on coupons, in magazines, on store shelves, and on actual products. These boxes are called Quick Response, or QR, codes, and you can create a QR code on-line for free. QR codes link to some content of your choosing on-line and can create a deeper level of engagement with a fan. People with smart phones can use an app that takes a picture of the QR code and immediately sends them to your link. You could print the image of a QR code on a business card, postcard or flyer that you mail or hand out at your live events. If you have a print edition of your book, you could include a QR code in it. After scanning your QR code in her phone app to read them, the recipient’s browser opens to the link you used when creating the QR code. For example, you might create a QR code link that sends people to your audiobook edition on Audible, plays the MP3 of the audiobook retail sample, or calls up the YouTube video of your Google Hangout with your narrator. As you can see in these pictures, I have a QR code on the back of my business cards. Once scanned, my QR code will bring up my web site in the phone browser. A podcast is defined as a digital recording of a radio broadcast or similar program, made available on the Internet for downloading to a personal audio player. With the proliferation of smart phones, podcasts are enjoying increased visibility and popularity, and they are a perfect platform for audiobook promotion! You can also seek out interviews on established podcasts. Harper Audio Presents usually features author interviews, even if the author was published elsewhere. In fact, you’ll find many more terrific podcast possibilities by looking in the iTunes store under Podcasts/Art/Literature. You even can create your own podcast and host it on your web site and/or Soundcloud. For instance, my colleague Ann Richardson and I recorded each of our InD’ear columns and uploaded the recordings to our Narrators Helping Authors Soundcloud account. If you hold a Google hangout with your narrator and/or fans, you can extract the audio and repurpose it as a podcast. A podcast interview is valuable experience and can definitely drive sales, but a real radio station has many more listeners. However, unless you’re a celebrity author, the media probably won’t come looking for you. As with podcasts, you can contact local radio stations and ask to be a guest on a show. According to morning show host Wayne Kelly, the key to booking radio interviews is that you do NOT want to approach the producers as an author promoting a book! The producer could fear booking an introverted author who would provide no value to the listeners. Instead, you would position yourself as someone who increases audience interest with your specialized insight and comments about current stories. First, keep a list of topics covered in your book. Authors who research topics for fictional stories would develop expertise in those areas. When it’s time to publicize the book and audiobook, look for hot topics in the news which tie into your subject matter knowledge. Google stations in your locale. You then can find them on social media and/or call the station to ask for the email address of the person who books the most interviews. As you can see, you can market your audiobook with your book and as a standalone product. Want even more ideas for audiobook marketing? You’ll find them on my Audiobook Marketing Cheat Sheet! If you have questions, please leave a comment on the blog or book a personal consultation on my Shop page. Most of this article originally appeared in the February 2016 issue of InD’Tale Magazine. I’ve updated some of the info and links. Authors, Can You Afford to Produce an Audiobook? Audiobooks: A Multi-tasker’s Best Friend!